If you are on the hunt for a high quality RFID reader to help streamline your business processes, look no further than the barcode and labeling experts at Tri-State Business Systems. We have a large selection of the most cutting edge readers available on the market today and can help customers choose the right reader for their specific application. An RFID reader can gather information by scanning a RFID tag. 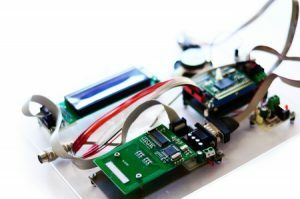 When used in business, an RFID reader can assist in inventory control, shipping, receiving, product tracking and more. 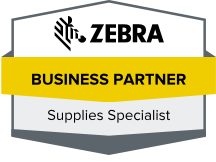 Tri-State Business Systems offers a range of ZEBRA readers and can help you select the right model to meet your needs. When combined, our selection of barcode labels, labeling equipment, RFID tags and much more can create the ultimate business labeling system, and our team of software and hardware engineers have years of experience in creating custom labeling system solutions for clients of all sizes. Trusted and relied on by many of today’s leading fortune 1000 and fortune 500 manufacturers, Tri-State Business Systems offers unmatched customer service, an unparalleled product selection, quick and easy ordering and ultra-fast shipping. We know your business needs the appropriate supplies to keep your business running smoothly, and we have the product knowledge and expertise to provide you with best-in-class service, selection and support to keep your company operating efficiently. We proudly serve businesses – both large and small – in Bradley Gardens, Neshanic, Millstone, Blackwells Mills, Montgomery and the neighboring regions, so contact us today for help choosing the optimal RFID reader for your business needs, to place an order for barcode labels or other labeling supplies, or to request assistance in developing a new labeling system to streamline all of your business processes.